Gauge Bergère de France Filomèche knitted with Slip stitch honey comb stitch « Hello Kim ! 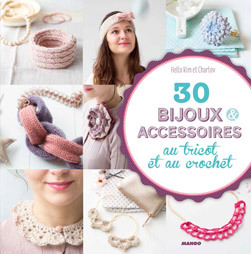 Today, I’m talking about a Bergère de France‘s yarn that I really love as I used it twice : Filomèche yarn. 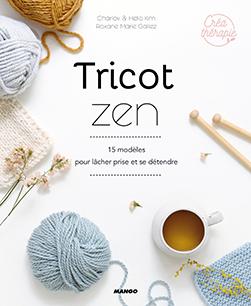 The first project was for a cushion cover for my book “Tricot Zen” release in 2017, and the second project was fingerless gloves for my book about Circulare knitting, released on September 21st 2018. 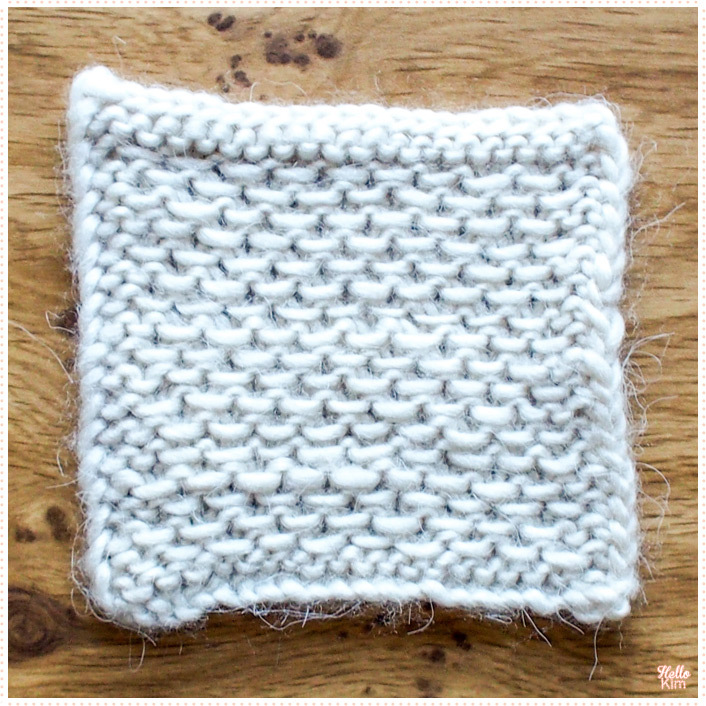 In flat knitting, for the Slip stitch honey comb stitch cast on an even number of stitches. Row 2 : knit 1,*slip 1, knit 1*, repeat from * to *, end with knit 1. Row 4: knit 1, *knit 1, slip 1*, repeat from * to *, end with knit 1. 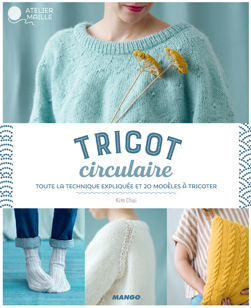 In circulare knitting, cast on an even number of stitches + 1. Round 2 : *purl 1, slip 1*, repeat from * to *, end with purl 1. Round 4 : *slip 1, purl 1*, repeat from * to *, end with purl 1. Repeat round 1 to 4. 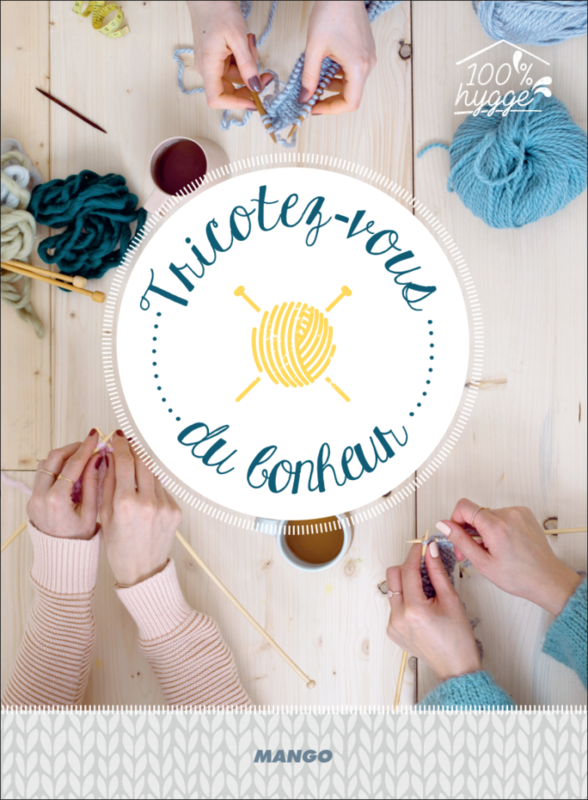 Filomèche is a intertwined yarn with irregularities more or less noticeable according to the pattern you knit. Be careful, the string is fragile (don’t pull it, but once knitted, it’s OK !